Maybe it's joy, maybe it's shock, it may be nerves... or maybe it's that they're BLIND with fear. 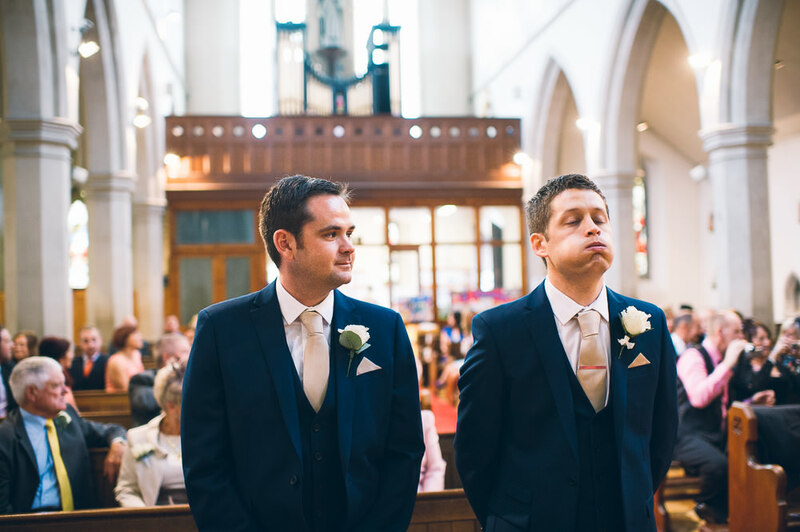 Whatever the reason, there's no getting away from the (sometimes hilarious) expressions captured by photographers as grooms prepare for the 'big moment'. 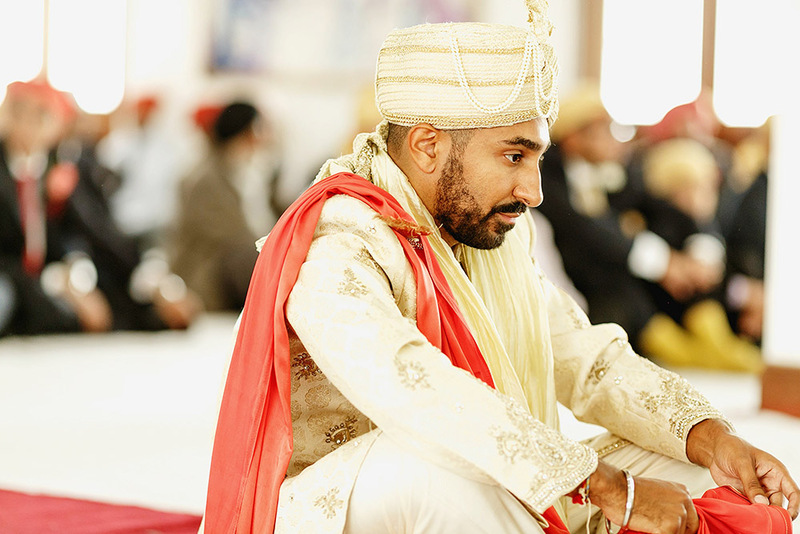 "The moment before the bride enters is always a nervous time for most grooms," says Rahul. 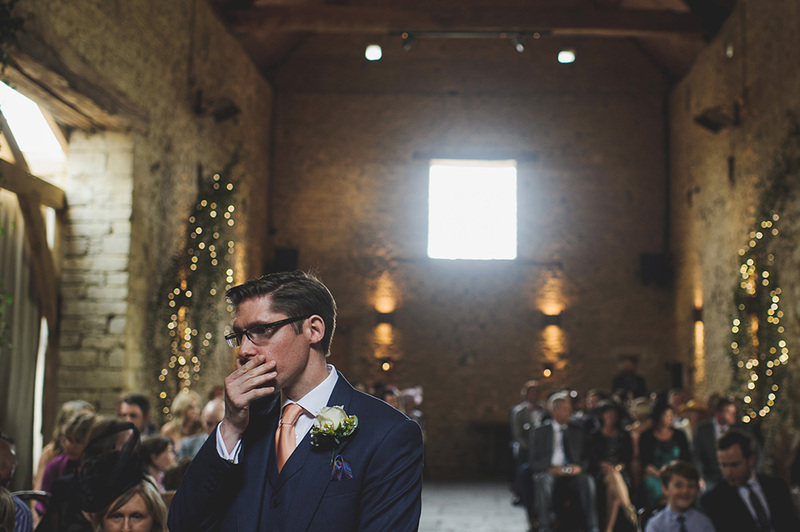 "Lewis was totally calm up until this moment, where he sat waiting for his beautiful bride to enter, but had a moment of nervousness around him." 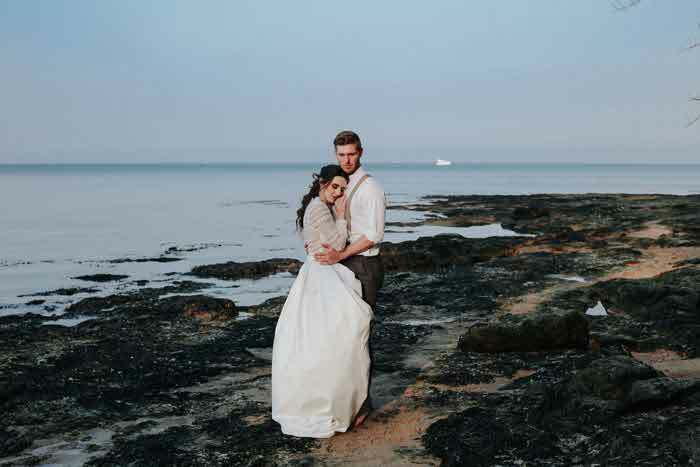 "Grooms have a tendency to try and ‘keep it in’ when it comes to emotions. Not Andy," says Adam Johnson. 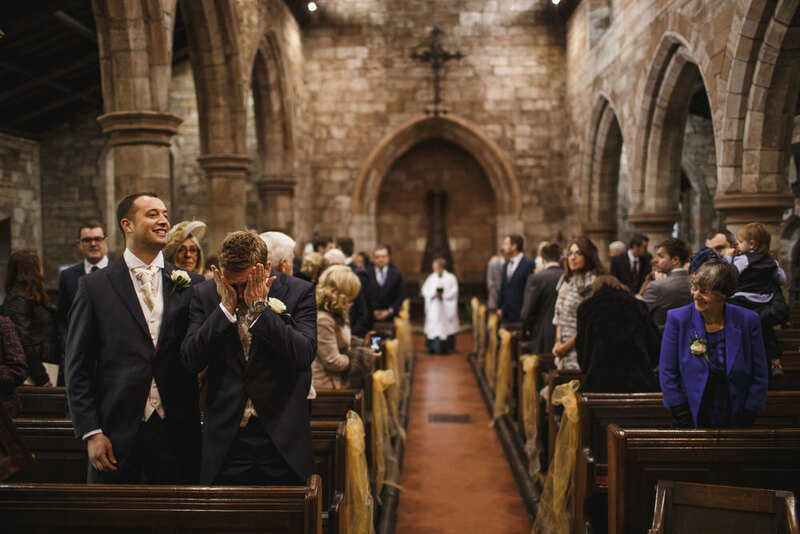 "Katie and Andy’s wedding in Knutsford Cheshire is one of my favourites of all time. They are such open people with such warm hearts and Andy’s feeling were on display for everyone to see once he knew Kirsty was waiting outside the church. This is one of a series of photos which will forever remind him and Kirsty how important those moments felt. Beyond Andy’s emotional turmoil I love this photo for a bunch of other reasons – his best man and about-to-be Mother-in-Law both finding his plight amusing, his mum looking on emotionally while most of the rest of the church have turned round for Kirsty’s arrival, and the appearance of the vicar signifying this ‘here we go’ moment all too poignantly. I love to tell stories in one frame and I feel like I achieved that here." "This image at the church next to the Inn at Whitewell in Lancashire is one of my favourite images," says Adam Riley. 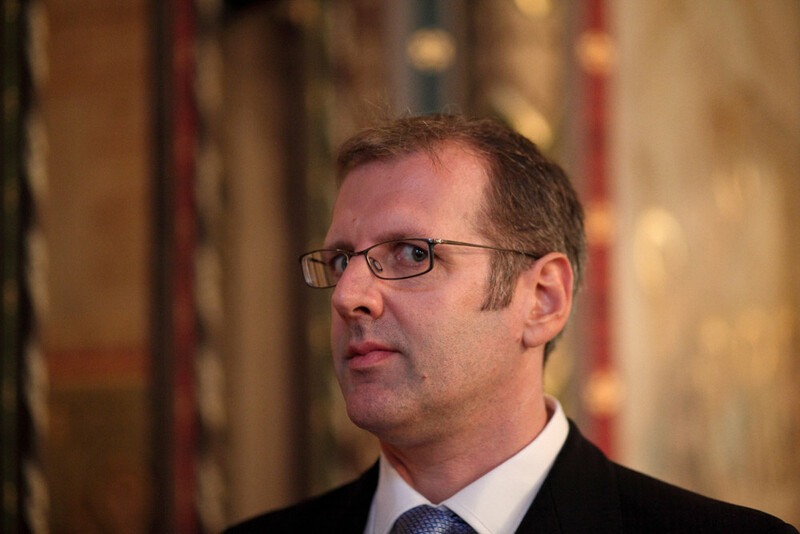 "It was taken a few years ago, and features Neil, nervously awaiting his bride. Neil is willing himself not to turn around, as he wants to see Mel for the first time as she stands next to him." 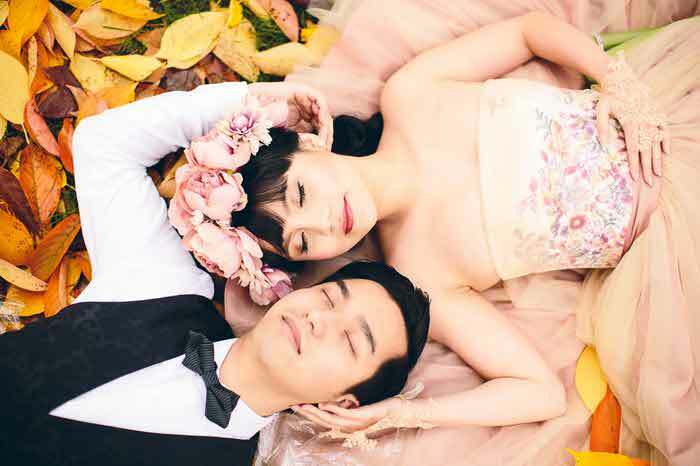 "This image really makes me smile," says Albert. "A smile of knowing exactly how Kurt felt. As I was a particularly nervous groom a small part of me feels for any groom who has pre wedding nerves. 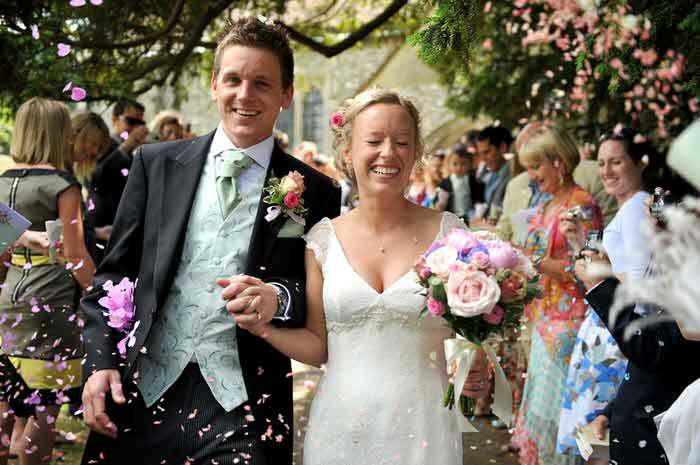 This Clevedon wedding image taken near Clevedon Hall in the church is one of my all-time favourites." 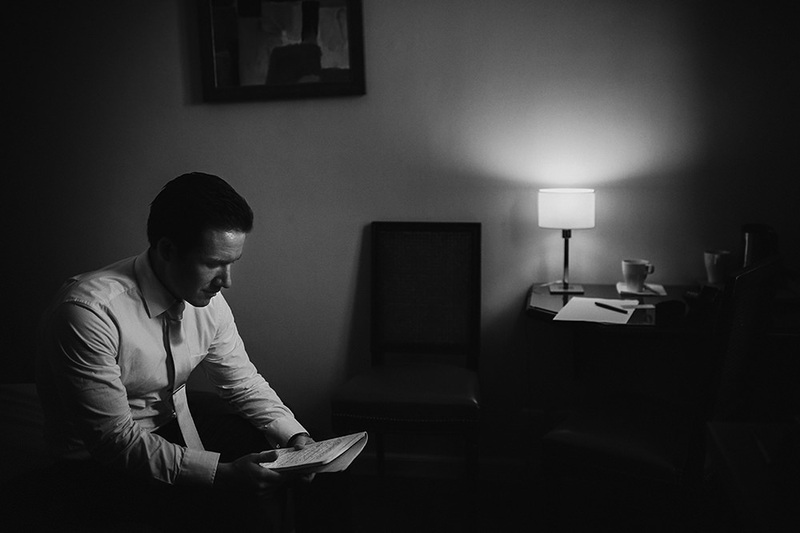 "I love this shot of Graham, having one last check of the vows he had written himself, and readying to read them to Lourdes when they would meet for the first time on their wedding day an hour later at the Chapelle Expiatoire in Paris," explains photographer, Andy Gaines. "This picture was taken at a church near Dulwich College in South East London," says Ben. 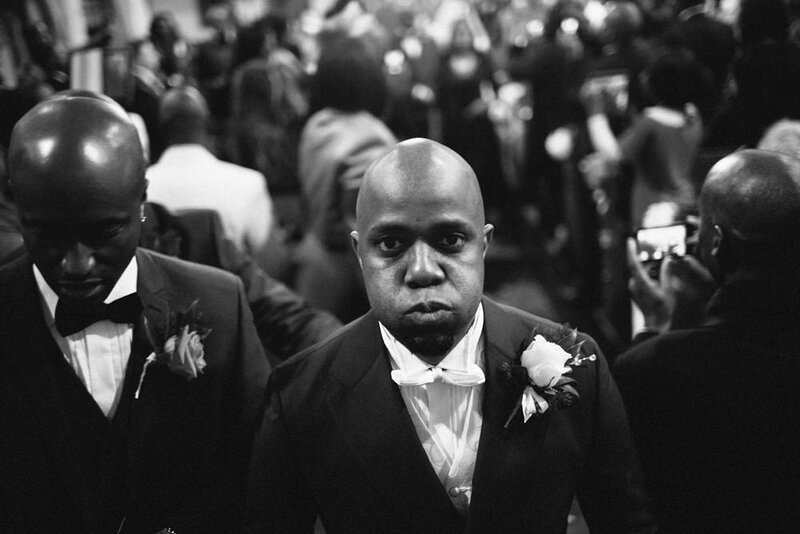 "It captures the expression on the groom’s face just moments before the bride’s arrival at the church. Even though this particular couple have been together for many years and have 3 children together, the moment caught is full of nervous tension. In this type of situation as a reportage photographer it’s important to asses what pictures still need to be taken, even if the subject might occasionally feel uncomfortable with the process." 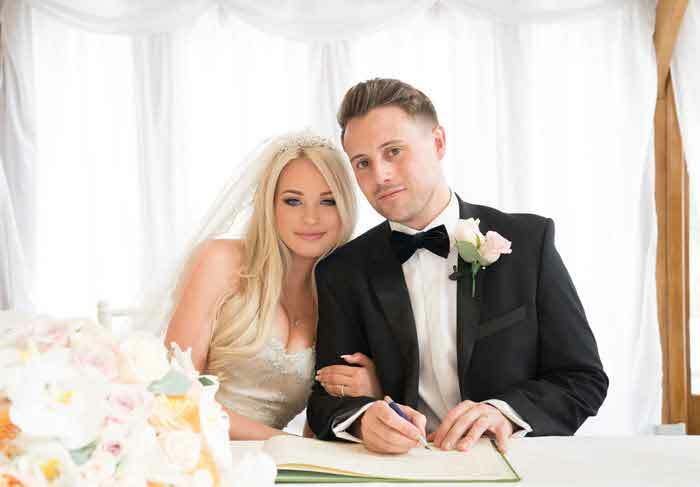 "I've seen a lot of nervous grooms before, but none so nervous as Michael was before his Hedingham Castle wedding!" says Kristian. "He was about to marry his childhood sweetheart, Liz, after being together since school, and there seems to be a lot of stuff going on in his head - even the best man provides a bit of (knee) support..."
"This image was created at St Edmund of Canterbury Church in Fleetwood, after which the bride and groom held their wedding reception at De Vere Herons Reach in Blackpool," say Bee and Liam of The Crawleys. "I really like this image because as a married man myself I can fully understand the emotions Mark is feeling at that very moment. I love the expression on his face! It’s priceless! We documentary photographers are moment junkies and this is an awesome moment … if ever there was an image that said ‘Oh S@$t!’ it’s this one!" 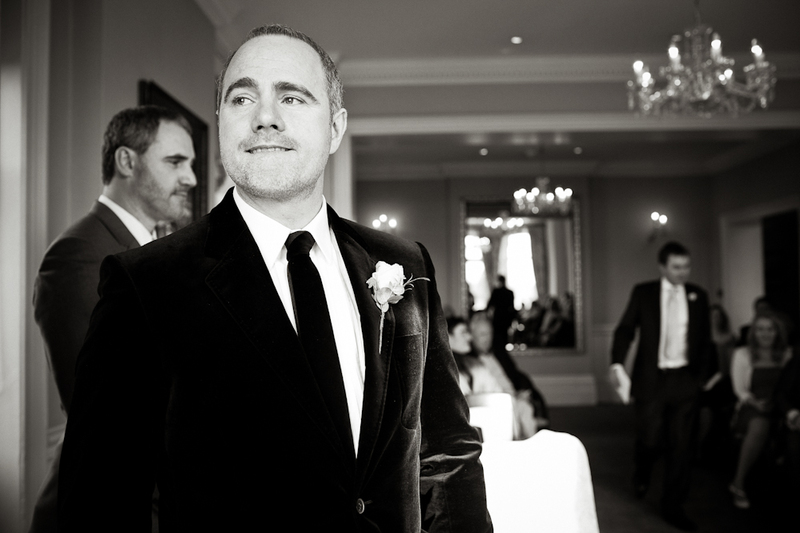 "The groom waits nervously for his lovely Canadian bride at the Sunbeam Studios in Ladbroke Grove, London," says Lorenzo. 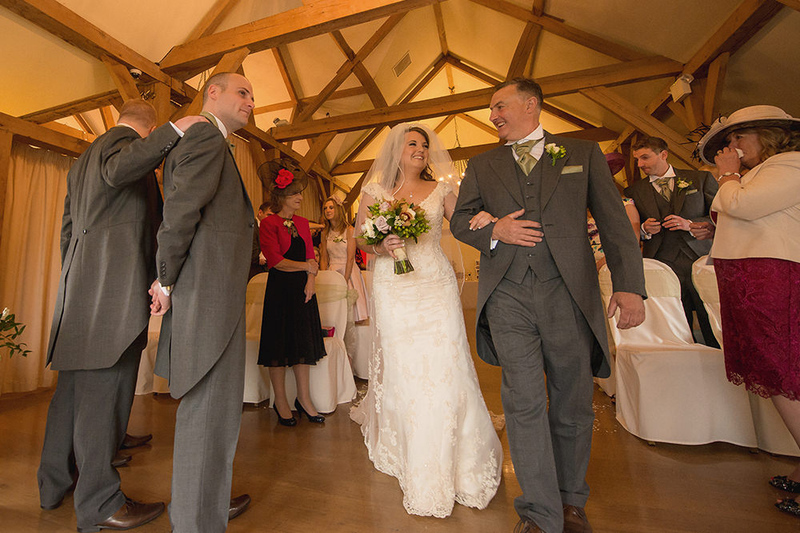 "The look on the grooms face sums it up for me. An expression of nervous excitement that says “Here we go now, can’t wait!” What a wedding it was. 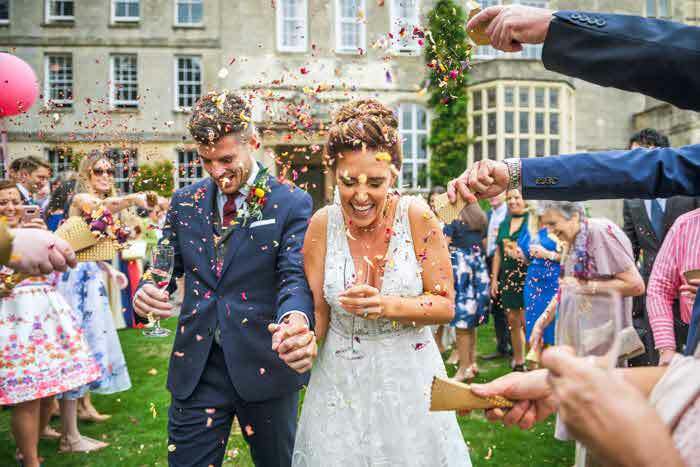 An extraordinary wedding day where the couple’s brief was simply to photograph their day as one big party. It certainly was!" 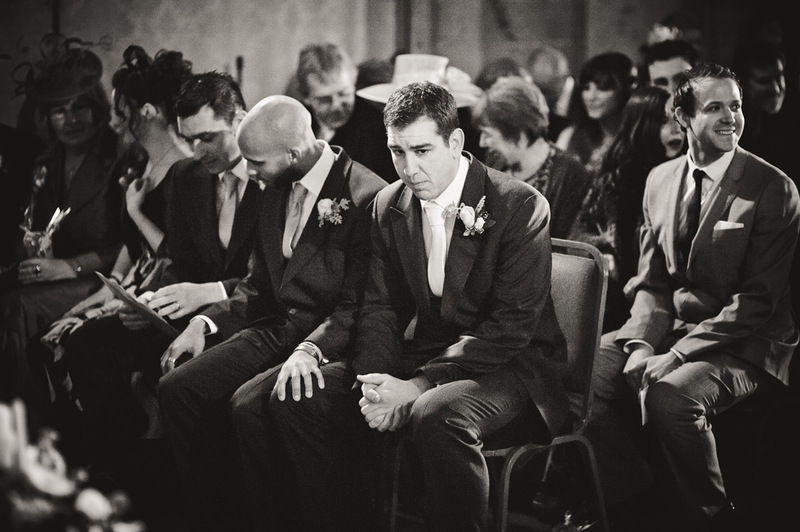 "This shot was taken at Lex and Liam’s wedding at The Petersham Hotel in Surrey and shows the groom waiting for his bride, lost in a quiet moment all on his own," says Lyndsey. 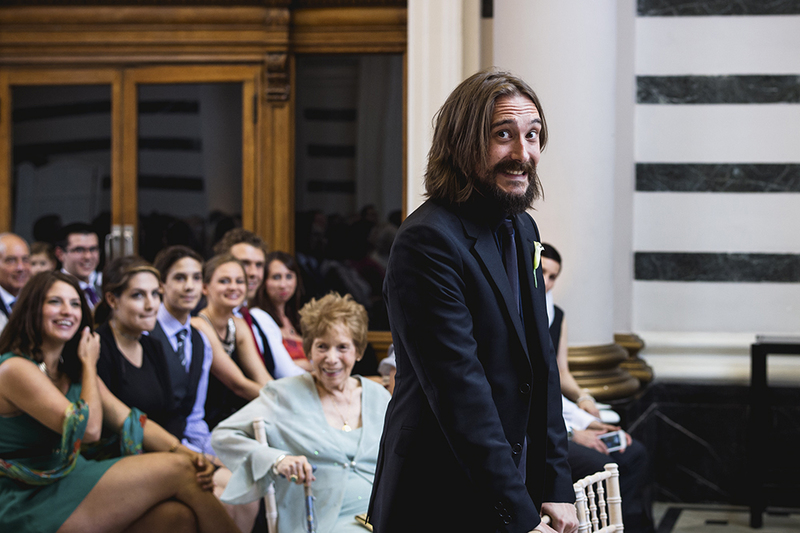 "I like this photo as Liam was the life and soul of the party and was laughing and joking all day, but here we glimpse the nervous anticipation that he felt moments before the ceremony." "I decided to come at this topic from a different angle. 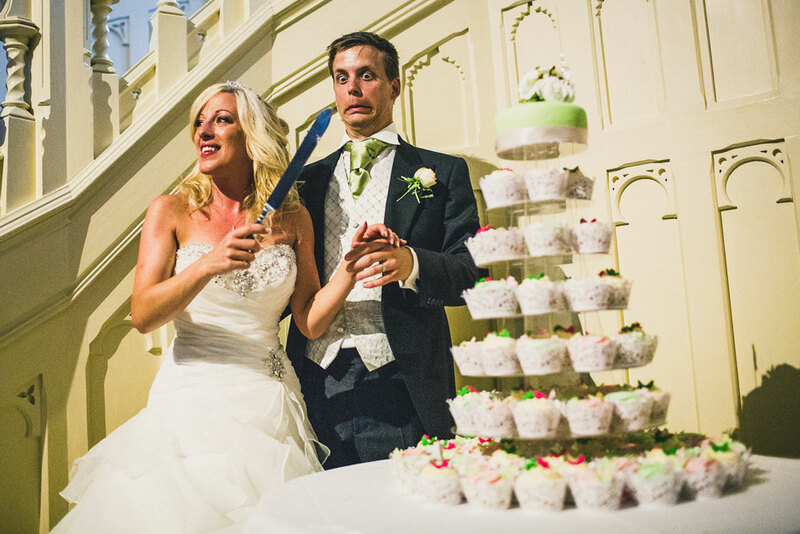 There’s no doubt that Darryl is looking nervous as Samantha wields the cake cutting knife!" says Matt. 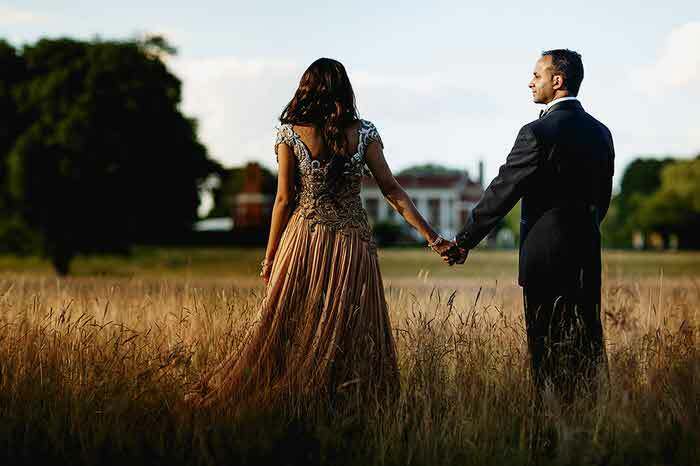 "The Elvetham in Hampshire was a beautiful backdrop to their stunning wedding. I love the humour in this photo." "Olivier and Carol live in London but got married in Nottingham in Carol’s home church," says Miki. 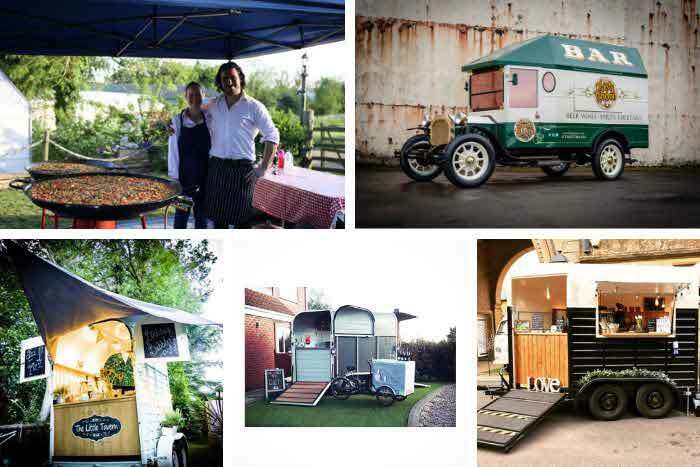 "They’re both lively characters, Carol being a gospel singer (she even sung in the ceremony) and Olivier a marketing manager and former athlete. They’d been this massive build up to the day and I think when the moment arrived Olivier’s expression is awesome - I’m pretty sure all grooms can relate to it: that moment you’re waiting for your future wife to walk down the aisle." 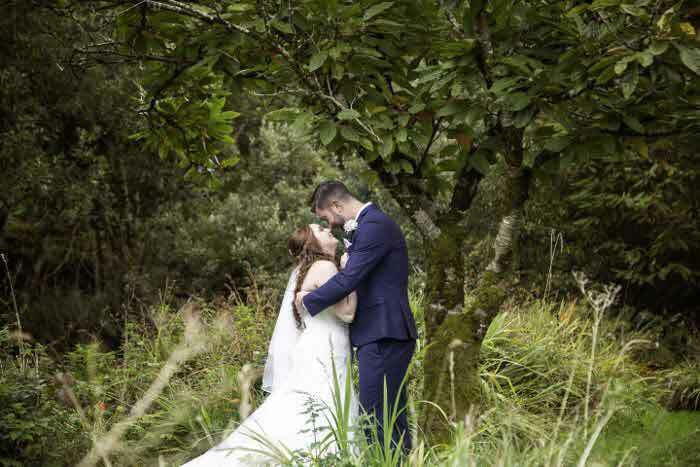 "There is so much going on in this photograph from Laura and Martyn’s wedding at Sandhole Oak Barn in Cheshire," says Neil. "Laura is so excited and her father looks so proud as he walks his daughter down the aisle. You can also see the emotion on Martyn’s face and I love how Richard, his Best Man, is putting an arm round him knowing that he is feeling so emotional." 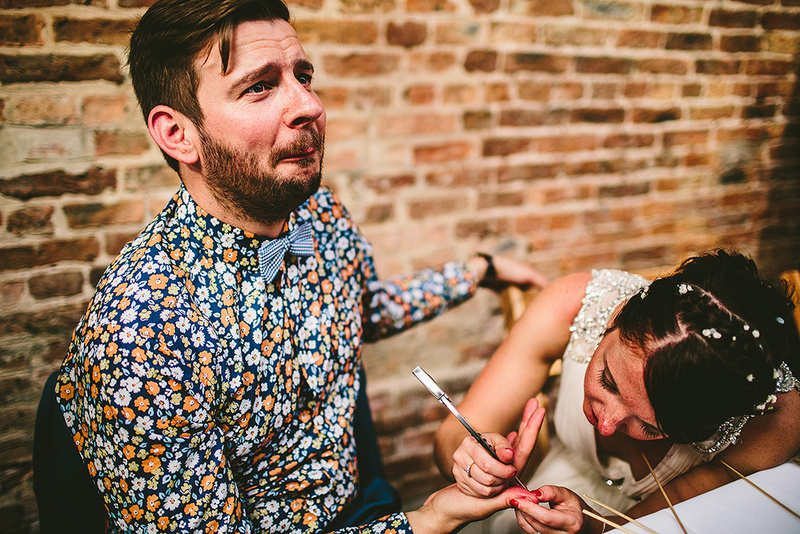 "Some grooms can disguise their nerves very well and look calm and collected as they wait for the entrance of the bride," says Rik. "Not so with Gerrard. I love this picture for its unadulterated honesty, just moments before Penny walked down the aisle. 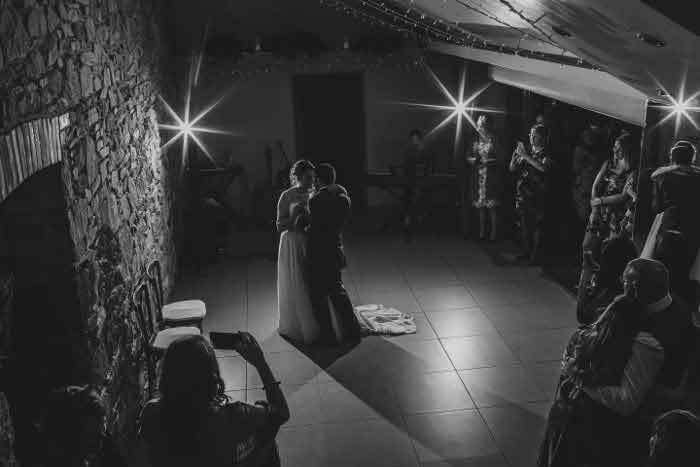 Cripps Barn is also a great venue for atmospheric lighting during the service." 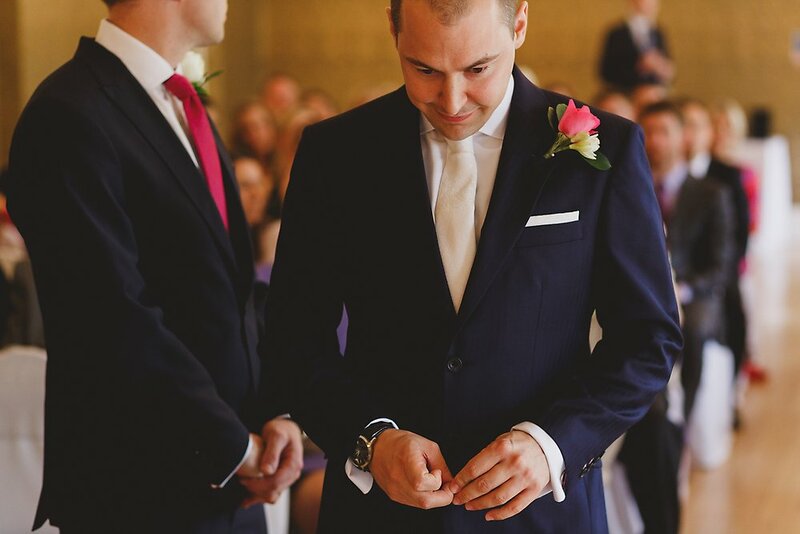 "Rob is waiting for Lucy to arrive, and I just noticed him having a moment to himself, slightly lost in thought in the few seconds before the doors were opened and the bridesmaids started to enter," says Sam. "This was taken upstairs in a beautiful grand room at Bristol Zoo, nestled in the heart of Clifton in Bristol. It’s a great place to get married as you can wander around the zoo during the day and there are some amazing places for portraits too." 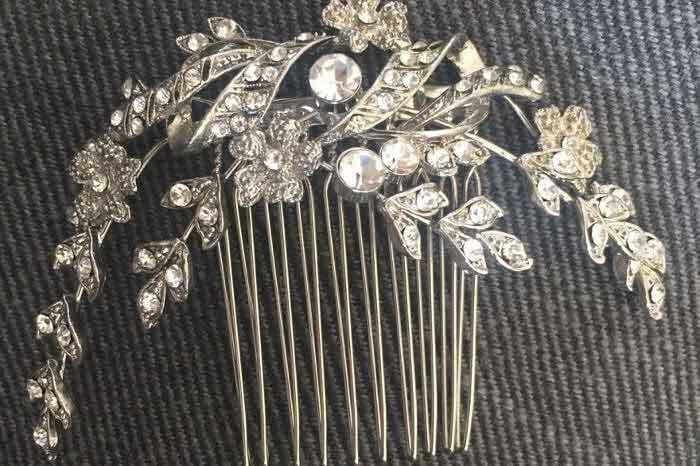 "When you think of a nervous groom, you probably imagine a shaking and heavily perspiring young chap at the alter waiting for his bride, and not some guy in a floral shirt wincing whilst his new bride extracts a splinter from his thumb with a Swiss army knife!" says Sam. 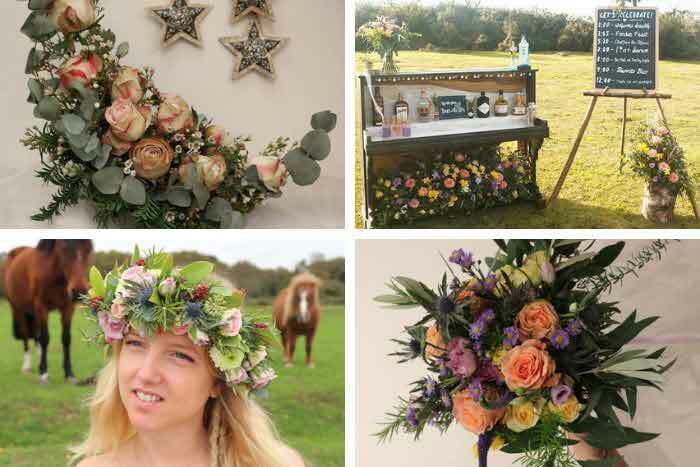 "At Barmbyfield Barn for Abi and Ali’s Yorkshire wedding, this was just the case though! I’m pleased to report the operation was a success and they’re still happily married." 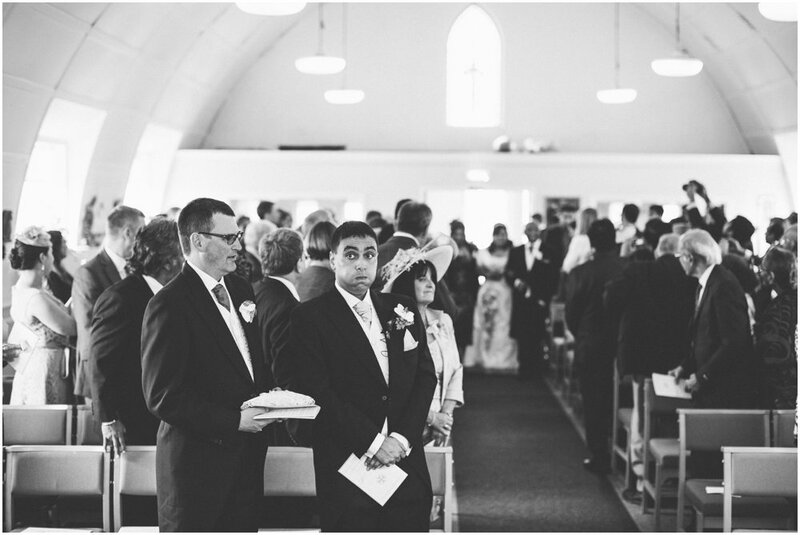 "Most grooms must be nervous as they wait at the top of the aisle for their bride," says Stephen. "Sometimes they don’t show it, and if they are having a laugh and a joke with their best men, it can be a fleeting and difficult moment to photograph. There is usually a split second when everyone is asked to stand for the arrival of the bride where the nerves flash across the groom’s face. 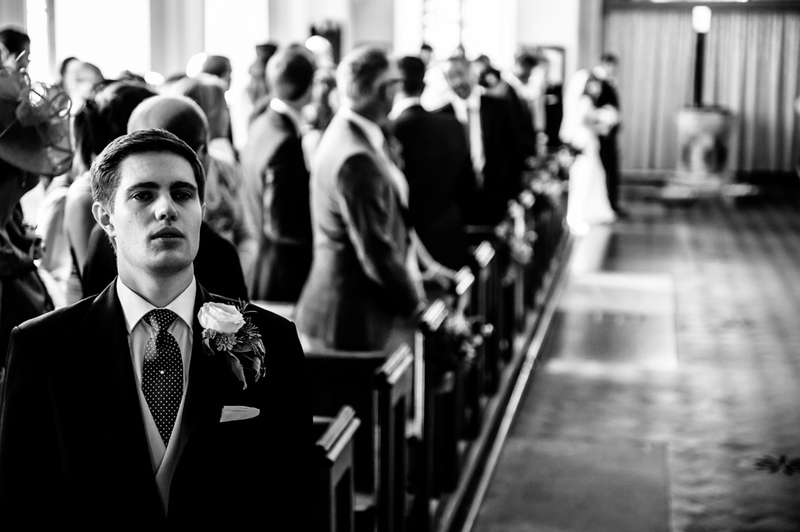 This is one such moment, Matt waiting for Jessica at their Kent wedding." "How best to control your nerves before the bride arrives?" ask Pete and Laura. 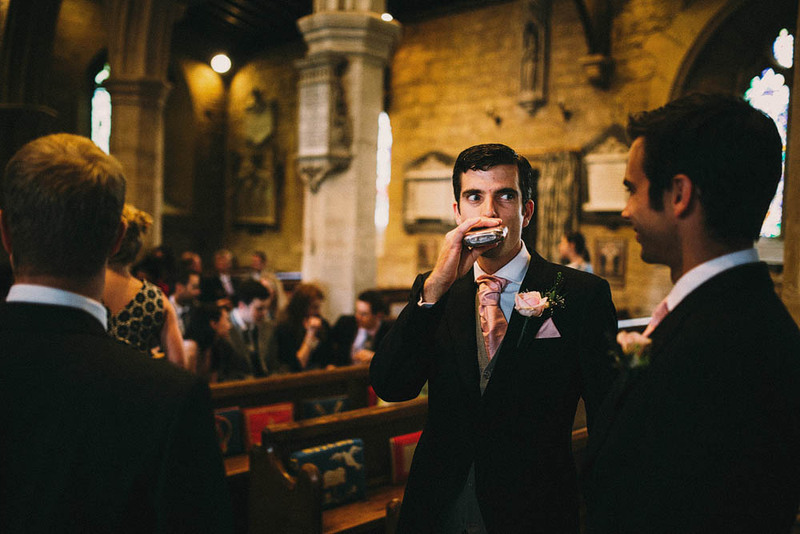 "A cheeky swig from a hip flask has helped strengthen resolve for centuries, just don't let the vicar see you! 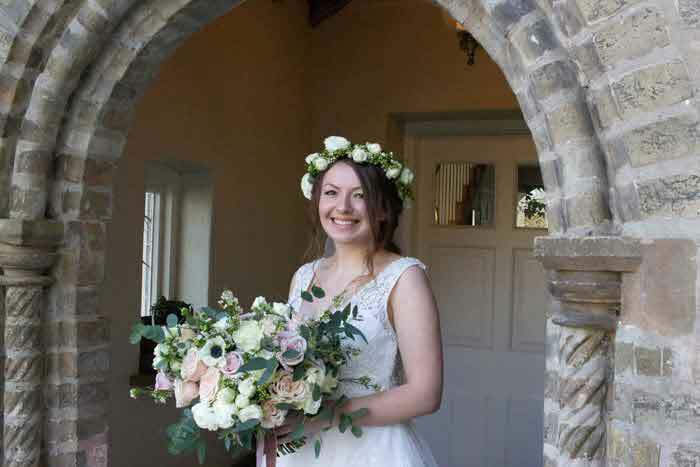 It clearly worked, the ceremony, and indeed the rest of the wedding (at Stanway house in the Cotswolds), went perfectly." (Disclaimer: always drink responsibly). This is one of our oldest Indian wedding frames; taken over six years ago it remains a firm favourite. 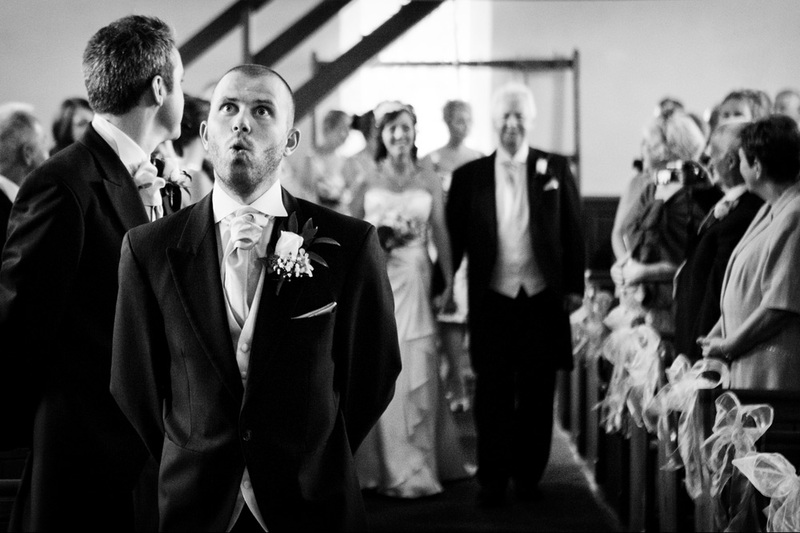 We love the nervous groom being teased by his uncle as they walked to greet the bride! 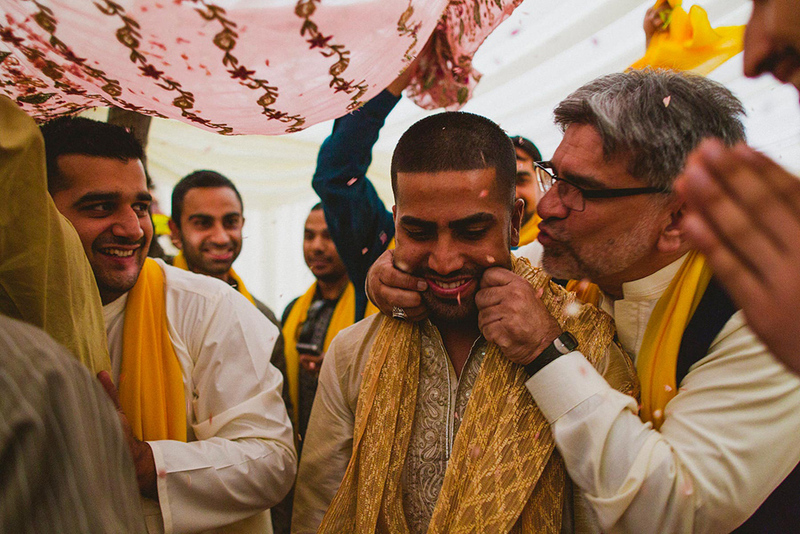 We particularly love the tiny bits of movement in the image, the uncle and the blowing of the kiss and the confetti.